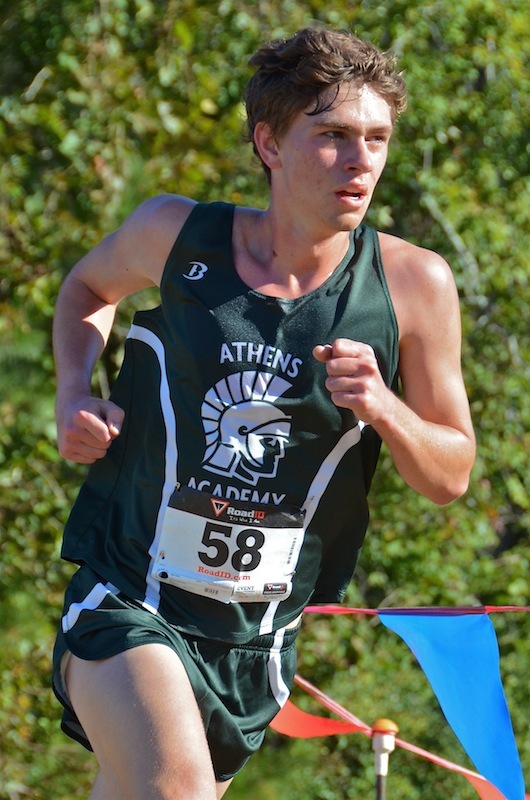 Adam Hearn of Athens Academy gave valiant chase, 8 seconds behind. 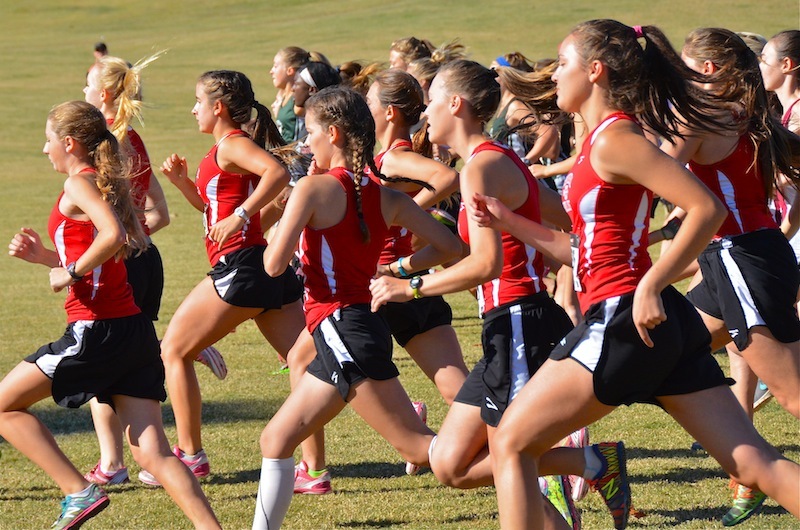 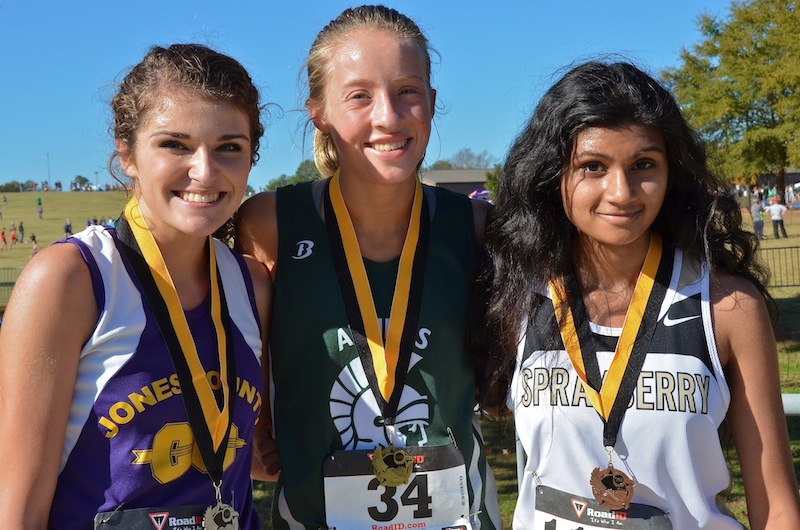 The 5A Girls start featured nine teams - Athens Academy's decision to race later in the morning was prosperous as the single A school beat the tough competition. 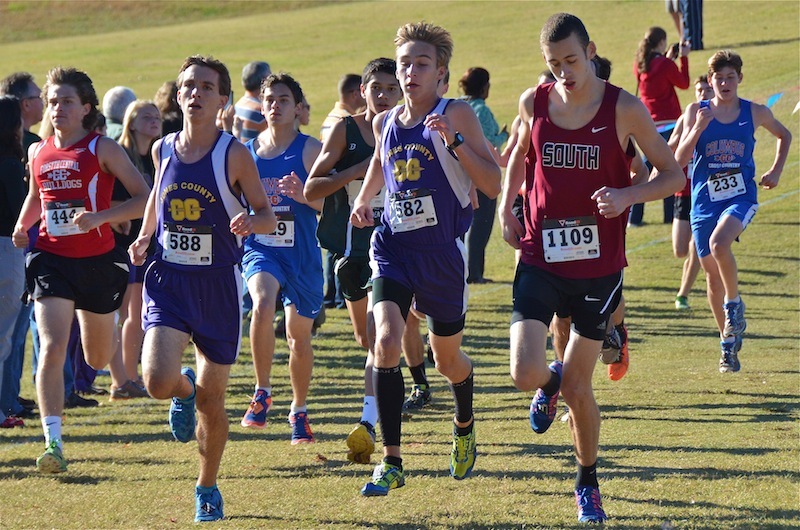 Posting a Team score of only 39 points, Athens Academy earned the win. 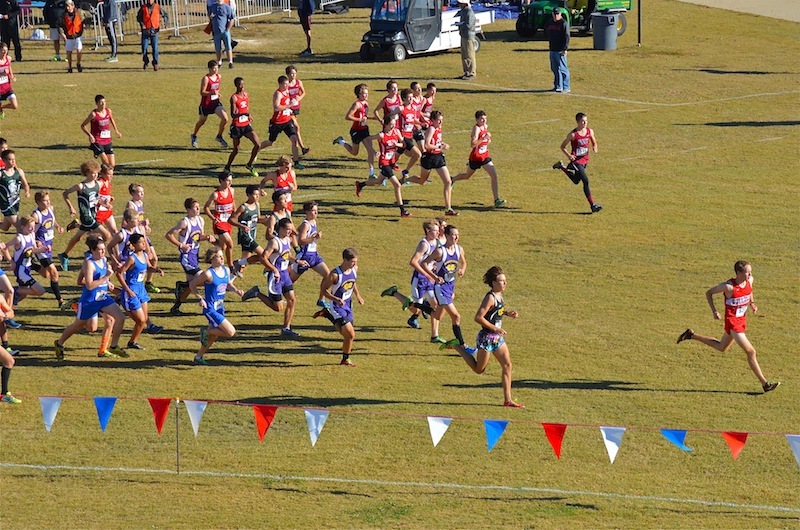 Columbus High and Jones County put up scores of 50 and 92 points, for second and third respectively. 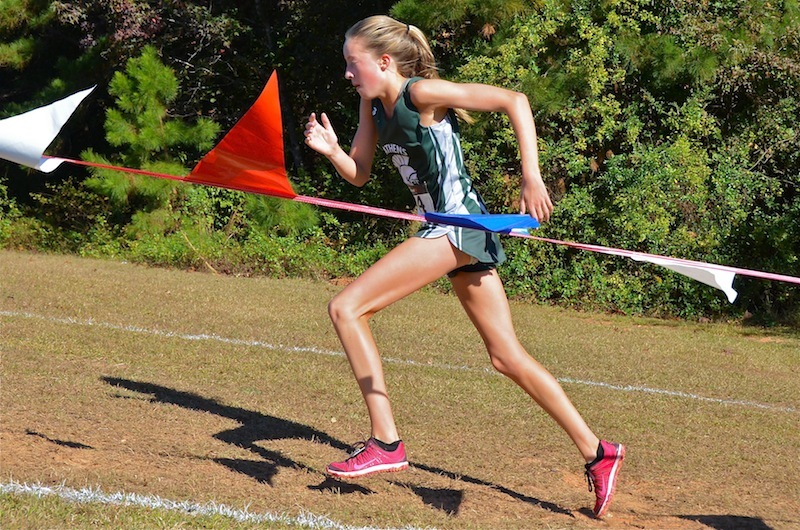 Super Frosh Anna Marian Block of Athens Academy crushed it - winning by over a minute! 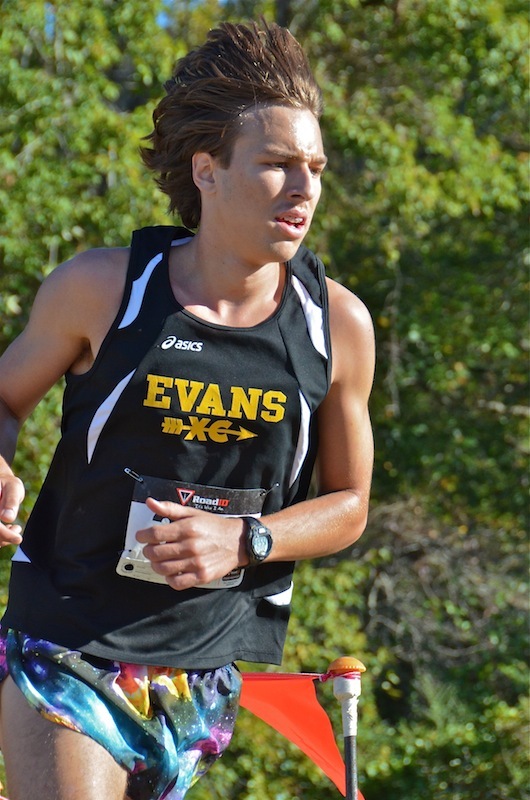 Block attacked the hills at Carrollton with a vengeance.